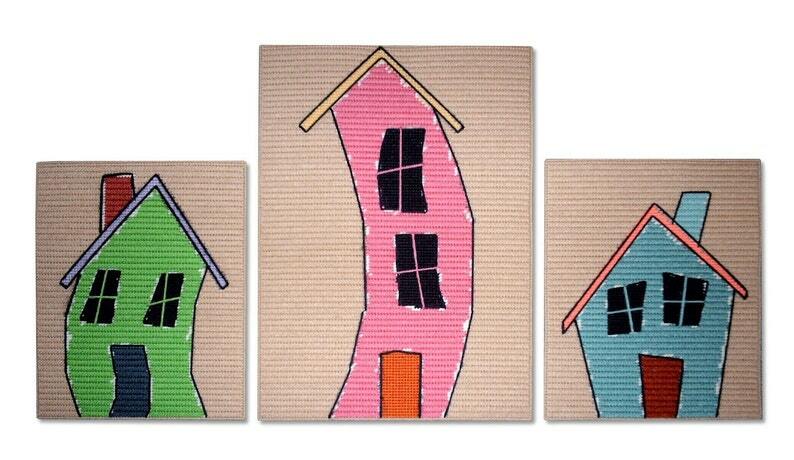 This 3 piece set features 3 crooked prim houses that are sure to brighten any room! Both my mom and sister-in-law are really into primitive things so I decided to make something primitive in bright colors. Be sure to check out my Whimsical Prim Sitters (Shelf Sitters) in my Etsy shop. They are smaller versions in 3-D!